My friend, Tracy Corpus sent me these pics from her son's (Thompson and Barrett) rooms. She has triplets (2 boys and a girl) and the boys have a "jack and jack" suite in their home. 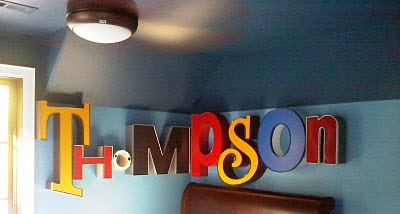 She used the awesome salvaged letters from HomeGirl and I love how she went around the corner with Thompson. Great job, girl!!! 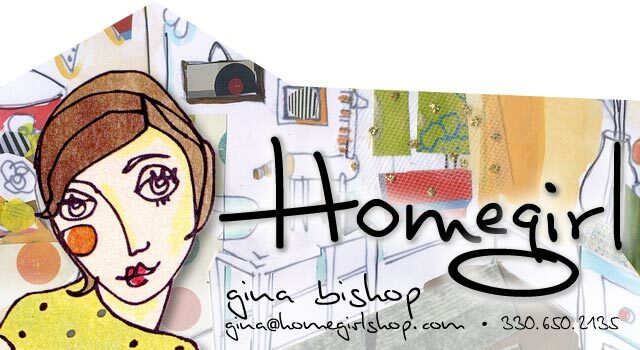 If you have pics of your letters bought from HomeGirl, please email them to me at gina@homegirlshop.com. Can't wait to see them!